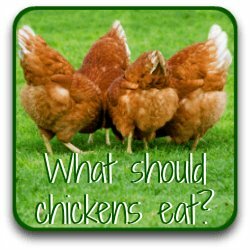 Choosing the healthiest chicken treat for your hens. 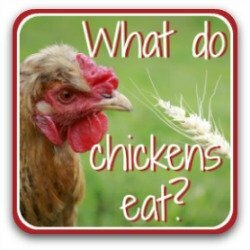 Confused about what's a healthy treat for your chickens? 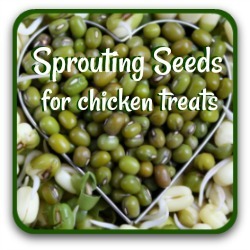 We all want to spoil our chickens from time to time, but giving them lots of regular treats may not be best for their health. It's important they have a balanced diet - which means a good quality feed and, once they've had a chance to eat that, some yummy but healthy treats. 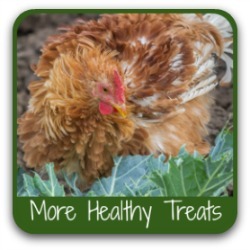 So what are the healthiest treats for chickens? The problem is that there's a lot of information out there in internet-land, not all of it accurate. 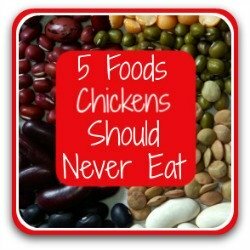 There are some foods which chickens should absolutely not eat - you'll find a list of them here. 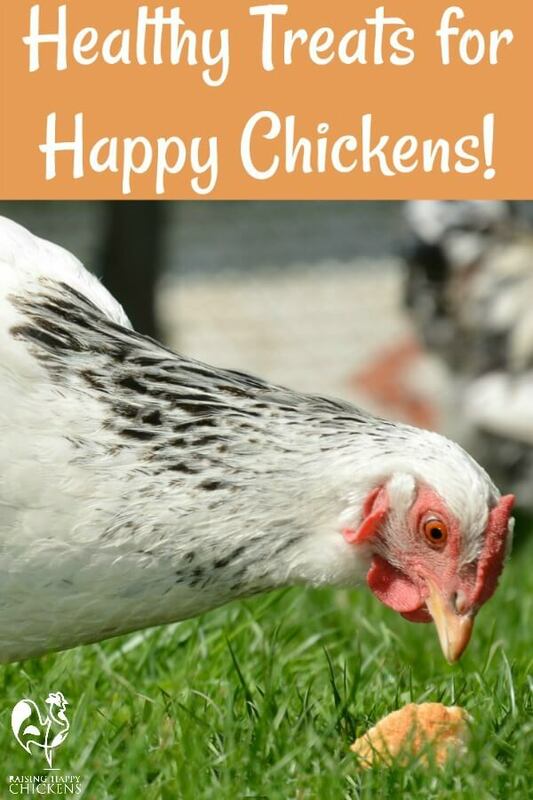 This is a list of five of the best chicken treats which you can trust are not harmful and will make both your hens and their eggs stronger and healthier. It's by no means a comprehensive list, but it's safe. Remember though that, just like people, different chickens have different tastes. What some will love so much that they're willing to fight for it, others won't give the time of day to. 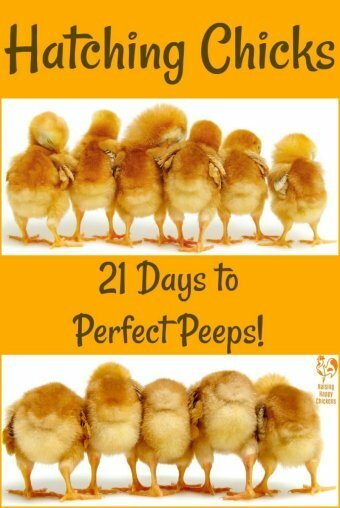 And what your chickens love one day, they will turn their beaks up at the next. It's all a question of trial and error, and discovering what works well for your flock. At what age can chicks be given treats? This is a question I'm often asked. 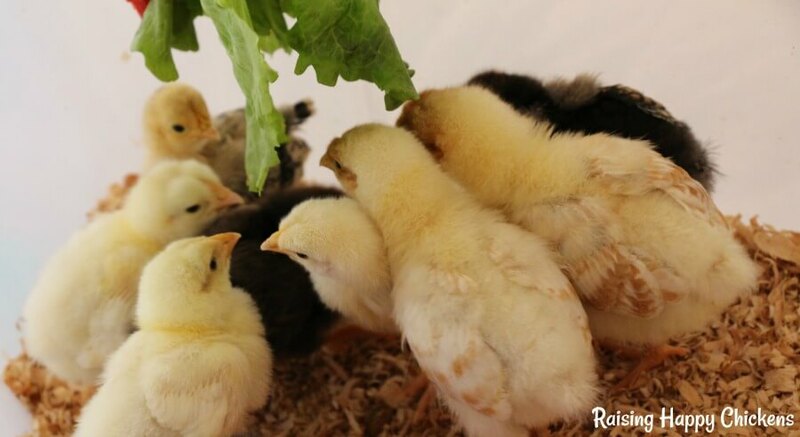 When raised by a broody hen in the wild or in a back yard, chicks will be introduced to 'treats' in the form of bugs and greens as early as a couple of days old. In the brooder, I personally don't give chicks treats until they're at least a week old, more often I wait till they're two weeks. And even then, I offer only healthy treats in small quantities. Because treats are not a balanced diet, and chicks need to learn what their 'proper' food is before they fill their tiny tummies with treats. Giving unlimited treats is like taking kids to a sweet-shop and telling them they can stuff themselves full of whatever they want. It's likely to end in tummy-ache. And for tiny chicks, that can mean big problems. Some of my Wyandotte chicks (and one Sablepoot!) tasting lettuce for the first time. 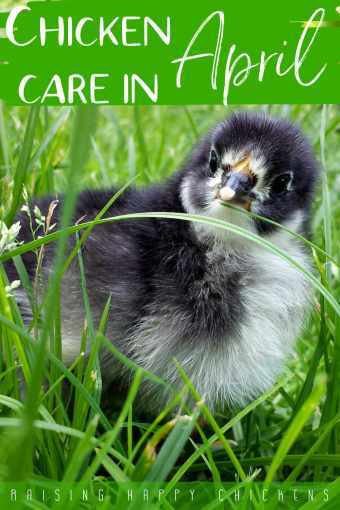 Remember though, it's very important that as soon as you give your chicks anything other than a starter feed they will need to be given grit in a separate feeder - otherwise they won't be able to digest it. For tiny chicks a dish of sand is fine - they'll take it as they need it. Apples, pears and other fruits. Fruits are every bit as good for our backyard chickens as they are for us. Full of vitamins and low in fat, they're an excellent choice as a healthy treat. Make your hens an occasional fresh fruit salad and watch them blossom! Planting a few fruit trees in your chicken run, or allowing your flock to free range in an orchard, works well as the hens will eat fallen fruit (the wormier, the better) and at the same time fertilise the ground. I have apple, pear, fig, peach and persimmon trees in my run and there's nothing I like more than to shake a few ripe fruit from the trees for them in the late afternoon sun. 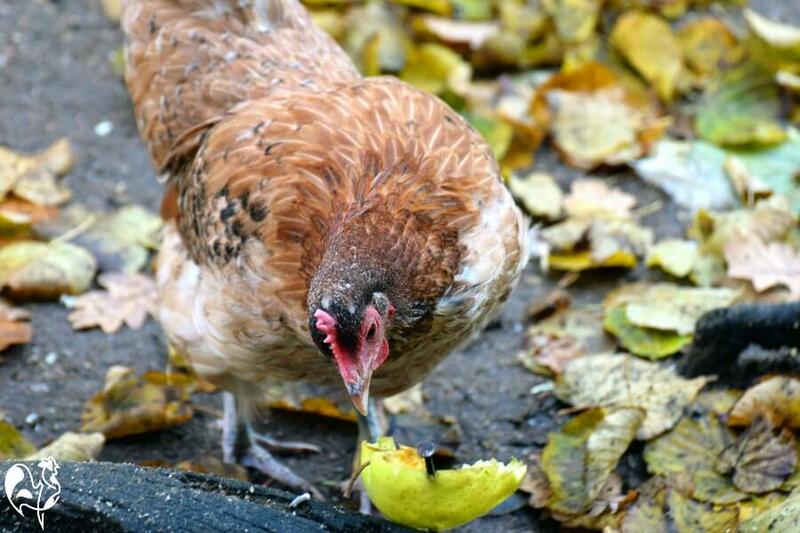 My chickens love foraging for fruit under the apple trees, searching for wormy windfalls! If you don't have space for full size trees try dwarf varieties, buy fruit when it's in season (and therefore inexpensive) or see if you can do a deal with friends or neighbours for some windfalls. This will depend entirely on your chickens. Mine have a particular liking for figs and persimmon, but won't eat apples unless they're soft or finely grated. Apples: Some people don't like to give chickens apples but the flesh itself is fine - apple seeds do contain arsenic but they'd need to eat them in massive quantities to have any effect. My chickens often peck at windfalls and have never suffered any adverse effects. Citrus fruits - You'll see a lot of advice about not giving these (oranges, lemons and grapefruit) to poultry - but there's no scientific base for that advice. It's handed down by word of mouth and internet forums. However, whilst the more compelling scientific research about this (see 1 and 2 below) demonstrated the presence of a chemical compound called 'limonene' in citrus fruits which is toxic to chickens, all the studies found that while the peel - fed in very large quantities - "had a significant adverse effect on the performance and digestibility of nutrients", it did not kill the chicks. Translated, that means that levels of different types of chemicals in citrus peel cause other nutrients such as calcium (which is critical to egg development) not to be as well absorbed by poultry which may make egg shells thinner. They also make it unpalatable to livestock, and my own experience supports that. None of my chickens have ever wanted to touch any form of citrus fruit anyway. 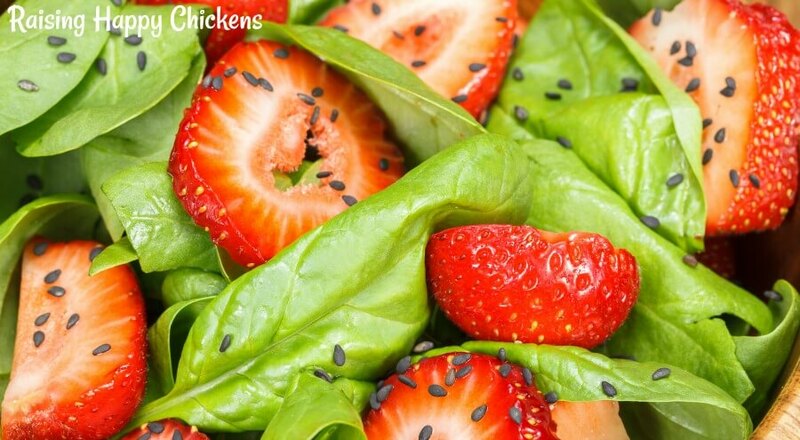 I quite often give my flock a treat of over-ripe strawberries, spinach leaves and a sprinkling of sesame seeds as a healthy summer treat. Chickens love berries so much they'll strip a bush bare and for good reason - they know what's healthy to eat. Berries are like a multi-vitamin pill for chickens - but much more tasty. Packed full of vitamins A, B complex and C, they're also a good source of beta-carotene. If you have space, plant some berry bushes in their run; they'll appreciate the shade as well as the fruits. Elderberry is particularly good at spreading. I also like to add berries to leaves (can you tell my chickens are a little on the 'spoiled' side?!) with a few sesame seeds added for their protein - good enough to eat myself. And (guilty sigh) sometimes I do share. All kinds of berries are fine for your hens to eat, including the 'berries' of rose bushes (rose hips), hawthorn and blackthorn bushes which are bursting with vitamin C.
Rosehips - a good source of winter treats. Keep an eye out in hedgerows for the wild varieties. They're particularly helpful in the autumn and winter when other fruits have largely finished and are more expensive to buy and, as an added bonus, the plants provide wild birds with some much needed nesting hedgerows. Rosehips tend to be very hard so they're best either left to dry out, or grind them up before feeding. As a bonus, chickens love rose petals too so pruning in the summer means no flowers are wasted. Perfect. Despite what you may read on the internet that berries are toxic to hens - they're not. It's the pesticides they tend to be treated with commercially which are toxic to chickens. Avoid unpleasant chemicals by either growing your own, or washing well any berries (or any other foods) you buy. And remember: if you have chickens and you have any kind of berry bush, expect to harvest only what your hens can't reach! Known as the 'cruciferous' vegetables, this group is also known as "super-veg" because they're so healthy. I have to admit, though, that these are not the kind of healthy treats any of my chickens have ever really loved in the same way they love strawberries, for example (no different to kids, then!). But they're packed full of vitamins and disease fighting phytochemicals. Of the three, cabbage has the most calcium (6.3% as opposed to 4.3% in broccoli and 2.4% in cauliflower) which is good for the egg-layers in your flock, and slightly more vitamin C.
But to be honest, any of these has a good level of anti-carcinogens and is a good choice of healthy 'treat' for you and your chickens! 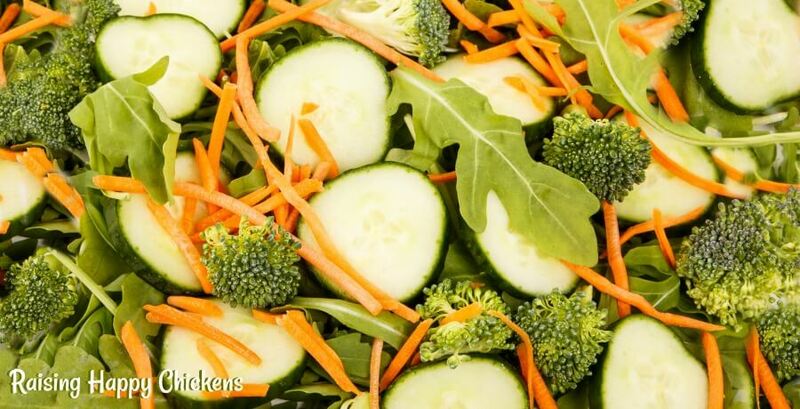 Mix leftover broccoli florets with grated carrot, dandelion leaves and cucumber or zucchini slices for a healthy summer chicken treat. I tend to spoil my hens by giving them just the florets as they seem to find the stalks too tough to handle, and I give them raw or grated, usually mixed with other healthy treats to make it more enjoyable. As I said - picky. Any problems with these veg? No - feed them freely, and preferably uncooked. Leftovers are fine but boiling allows a lot of the vitamins to leach out into the water. To make them more interesting to your flock, try hanging raw veg from a suet feeder (without the suet), particularly if your birds are confined to their chicken house during harsh winters. It provides hours of fun - they'll have a go at pecking them all day. You can get 'specialist' chicken treat feeders but to be honest I use a couple of wild bird suet feeders (well washed) like this one, which work in exactly the same way and aren't as expensive. I like this one because it's butterfly-shaped - a bit quirky. Carrots are so easy to grow that even I can do it - just spread a line of seed and watch them sprout. I do mine in a raised bed and add some sand to compost to give them their ideal growing medium. Lift when the tops begin to poke through the soil. 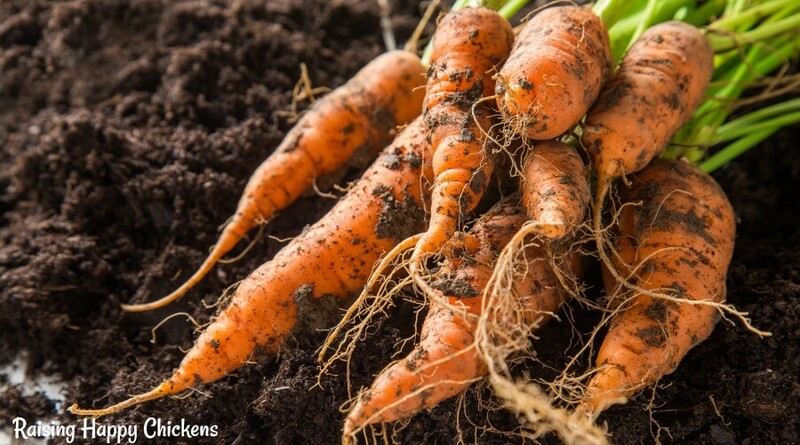 My carrots may be hairy and weird shapes, but they're inexpensive and full of goodness! Off the scale in terms of Vitamin A and with no fat at all, carrots are well known for their anti-carcinogenic properties for people and can also help to make your flock's egg yolks a deeper shade of orange. Add them to other fruit and veggies on this list, grate them, serve them as leftovers, add them as some veggie goodness into a high protein winter feed - carrots are very versatile and my chickens love them. They also love the feathery tops so don't waste them. I scrape the tops onto the compost heap I keep in the chicken run and my girls (and boys) are all over them straight away. Any problems with carrots for chicken treats? Nope. Feed as much as your flock will eat. In many parts of the world dandelions are considered a weed, but they're so popular in the part of Italy I live that dandelion plants are sold at the local plant nursery and sell as soon as they're put on the shelves. It's not unusual for people to use the leaves in salads during the summer months and for chickens, they're a feast. 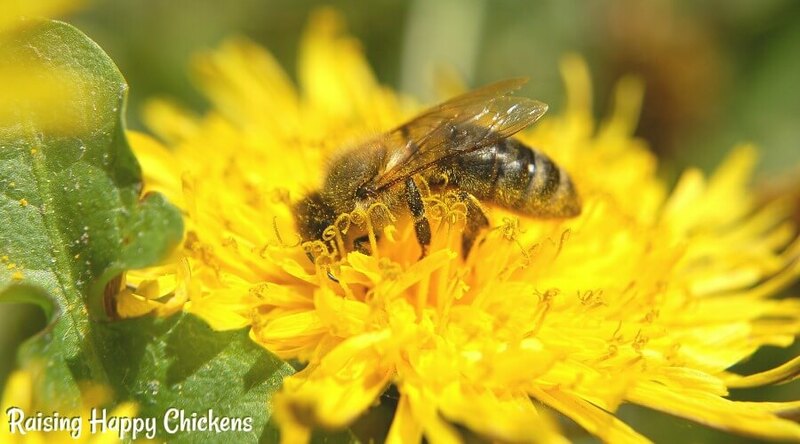 The flowers are also one of the greatest sources of nectar for honey-bees. So it's actually good to encourage lots of dandelions to grow in your chicken run. Dandelions have virtually no fat and are an excellent source of Vitamin A, potassium, iron and calcium, so they're excellent to throw into any high protein feed you're making to add value. Or just pull them up from your garden and toss them to the chickens. They won't last long! If your hens are anything like mine they'll only eat the younger, tender leaves and sometimes the petals. They dismiss the older leaves, presumably as too tough or too bitter, or both. 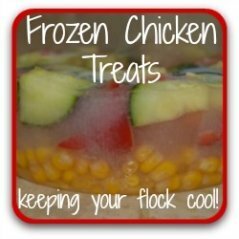 Want some more ideas for healthy chicken treats? Click the pic! 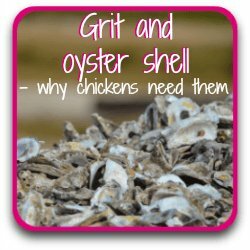 Click on the pic to find out whether they're good for your hens and if so, when they should be given. 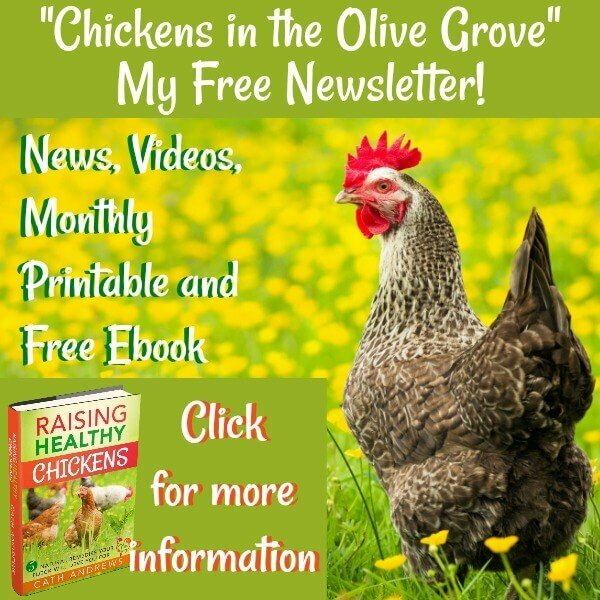 On this page, you'll find links to everything you need to know about what chickens eat. 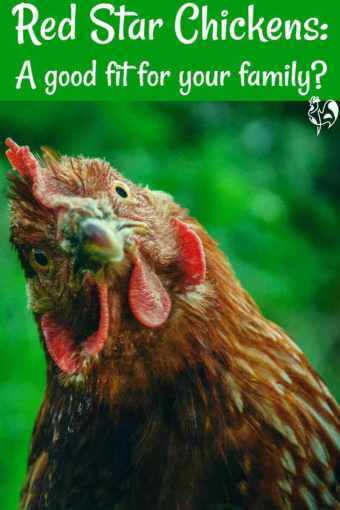 And for more information about supplements to your chickens' diet, click on these pics. 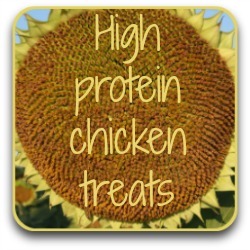 Do your chickens have a favourite healthy treat? I like to present information which I've been able to verify by scientifically proven sources as well as by my own chickens, so that it's as safe as possible for you and your hens. 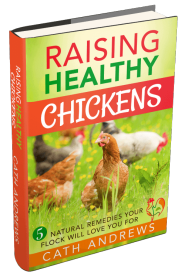 The following are some of the resources I used when researching this information about healthy treats for chickens. Cuypers, Paul : 'Feeding your chickens berries'. Pub Aviculture Europe, 2014. Jurgens et al : 'Poultry Nutrition and Feeding'. Pub. Animal Nutrition Feedbook, 2014. (1) L.D. Ojabo et al : 'The effect of feeding sun-dried sweet orange fruit peel on pullet chick performance'. Pub. Research Opinions in Animal and Veterinary Sciences, 2014. (2) Oluremi, Ngi and Andrew : 'Phytonutrients in citrus fruit peel meal and nutritional implications for livestock production'. Pub. Livestock Research for Rural Development, 2007. (3) George Mateljan Foundation : 'World's Healthiest Foods', 2001 - 2014. 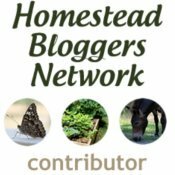 Bloom, Jessi : 'Free Range Chicken Gardens : How to create a beautiful, chicken-friendly yard'. Pub. Timber Press Inc., 2012. 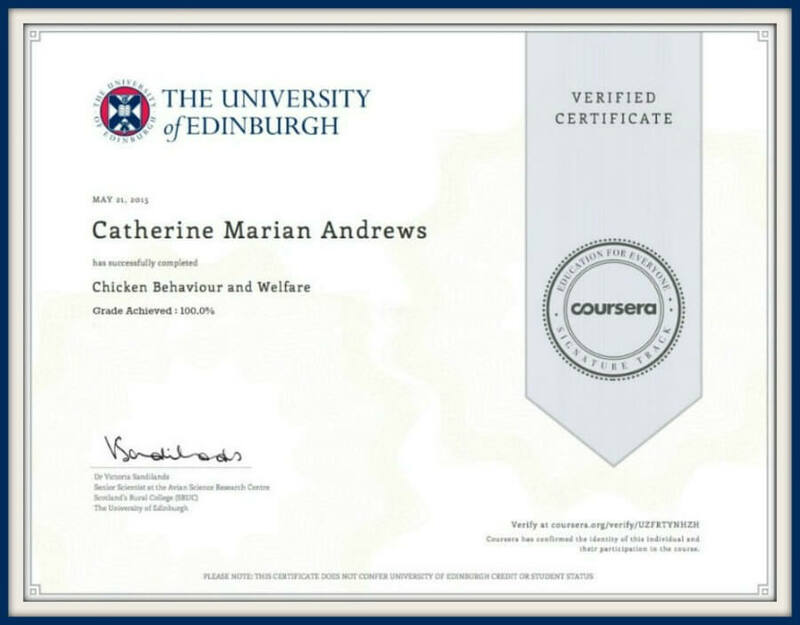 Please note : I am required to tell you that in Europe, EU regulations state that chickens should not be fed any foods which have been in a kitchen, whether the kitchen is a professional or a domestic one and even if the food has not been prepared there but only 'passed through'. This includes meats, vegetables, fruits and kitchen scraps and it applies to all backyard chickens, whether or not you sell their eggs or meat to others.